Remember the Coffin Lady? She was featured in the October 2006 issue of The Genre Traveler. Well she sent me an email last night to tell me about a friend of hers who will be on (has already been on?) Good Morning America today. 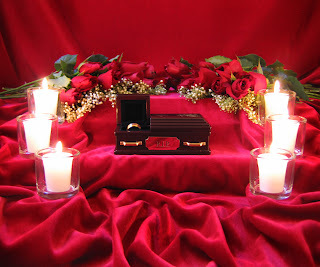 The friend’s name is Jill Testa and she has a unique product line: coffins for wedding rings from dead marriages. Check out the About page — its an interesting story.